At 29 weeks, I’m starting to be able to distinguish feet and head and bum when I press my hand into my uterus. My midwife does it and says it’s okay for me to do to it too. I’m pretty sure the head is usually down and facing to the right with the babe’s back along the left side, his or her little bum is on the top left, and the little feet are on the top right! That’s where I keep getting kicked. I’m told this is an ideal position for birth and it’s a good sign that the babe already seems to prefer it! Also, I’ve been feeling LOTS of hiccups this week too! I’m told this is a sign of proper neurological development and also promotes lung development. Cool! I still get the food reflux thing occasionally (without the acid or burn). To help with that I just take more enzymes and add a pillow to the bed. Balance and clumsiness is a little off. I get shortness of breath occasionally, but my iron count is good so I know it’s not anemia. Because of a good diet and enzymes my BMs have been regular for months. Yay! 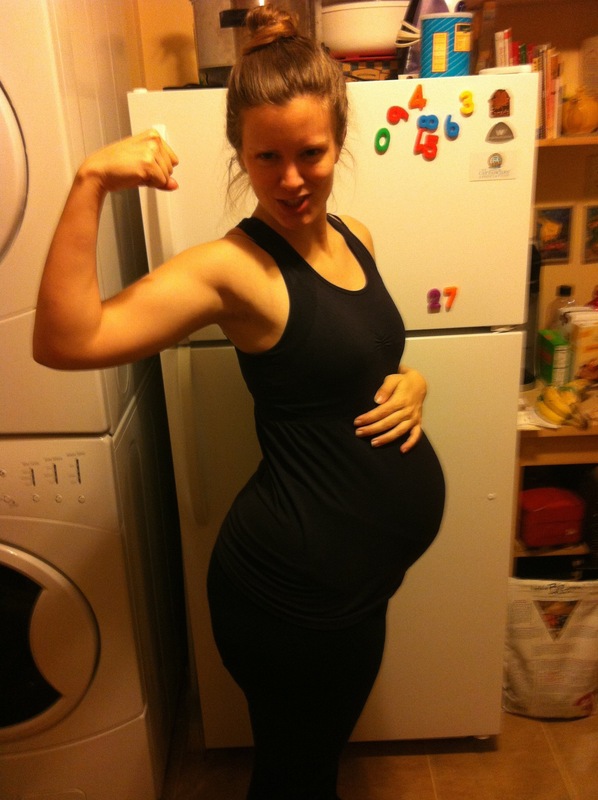 But now that I’m in my third trimester, I am starting to get a little more fatigued. Otherwise, my pregnancy has been textbook easy so far. Wouldn’t you agree? At 29 weeks, I’m getting a little hungrier. So I’m eating more meat. We’ve been doing the “paleo challenge” at our CrossFit gym for the month of January, but I’ve just been following what I feel my body needs in terms of carbs like white potatoes, rice, and corn. I’ve limited them, but I haven’t avoided them. Same with dairy. A few homemade grass-fed whole milk cappuccinos and London Fogs (minus the vanilla) have found their way into my diet; as well as feta. Then at my baby shower on Saturday, January 28, there were quite a few gluten treats. And I decided to let myself snack. I did get a mild allergic reaction on my skin, but the worse part was the sickness that I felt later that night (reminiscent of my high carb period from 2002 – 2006). It’s a horrid sickness where you don’t know what end it should come out but it’s not moving and you feel horrible. For me, it comes directly from high bolus of gluten intake and I should have known better. 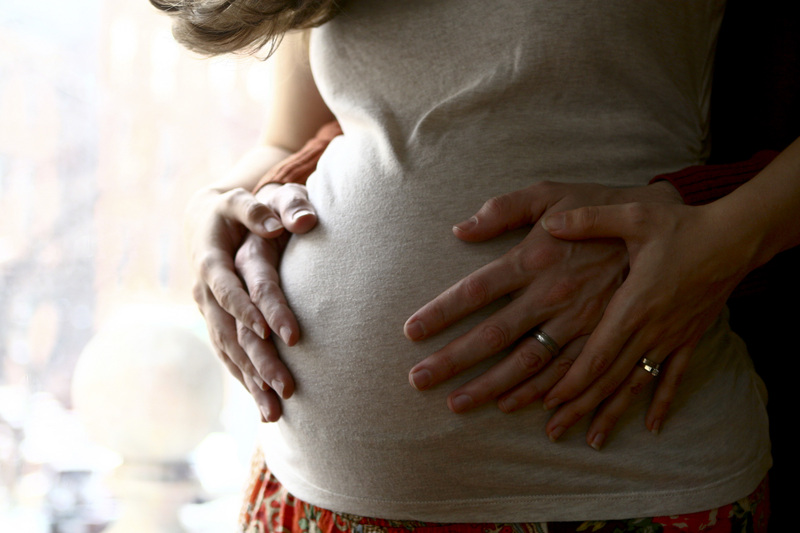 I took quite a few enzymes and a hot shower and Ryan rubbed my back (which always made me feel better during the first trimester nauseous days). That helped. I woke up the next morning later than normal, feeling tired, but with no more nausea. Whew! Early in the week I took my resting heart rate. It was 63. That’s not too low, is it? When my midwife took my blood pressure on Wednesday, January 25, it was 124/68. Still good! My “mini” is currently measuring at about 6.5 lbs (2.5 for the babe, 2 for the uterus, 1 for the amniotic fluid, and 1 for the placenta). That should count as a weighted run, right? RIGHT?! Gilliebean, clean + split-jerk @ 65 lbs! Heart rate was up to 150, but came down right quick. Workout felt good! Interesting to note: I did not have round ligament pain in the evening following this 400 m run! Today I stayed home and did a *very* brief KB workout with my *new* kettle bells! That’s right! I’ve graduated from using hand weights as kettle bells and now I have actual kettle bells! YAY! I used two blue bands so they could go around my baby belly. Aside from the extra time it takes to get in and out of them, they worked really well. 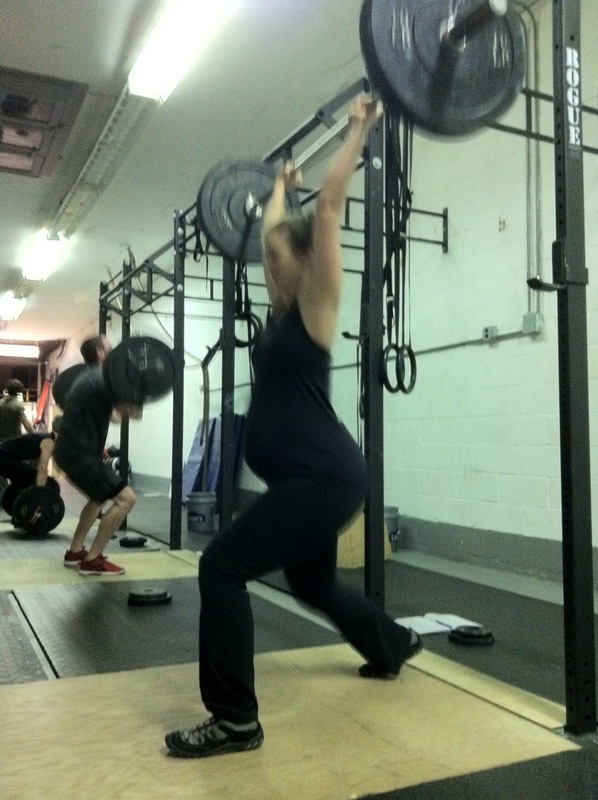 Baby Burpees are: 1 jumping air squat + 1 wall push up. I don’t anticipate round ligament pain from this little 800m jog. No belly photo this week! 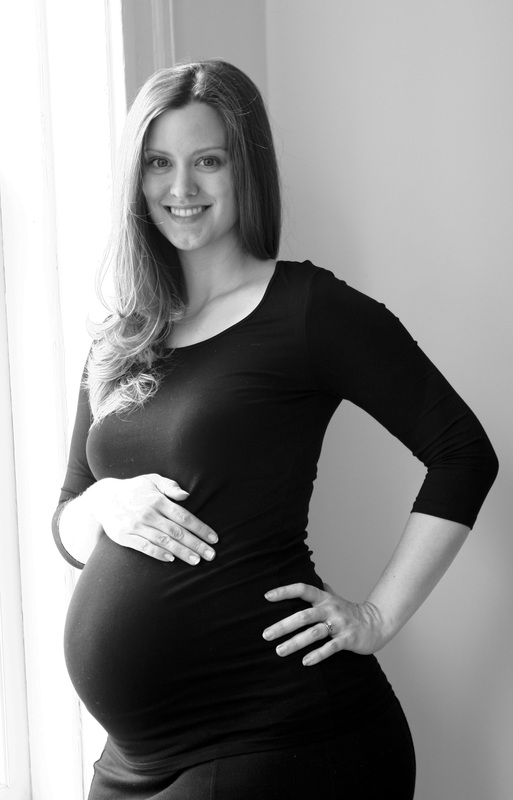 You just got a whole post of photos from my pregnancy photo shoot! 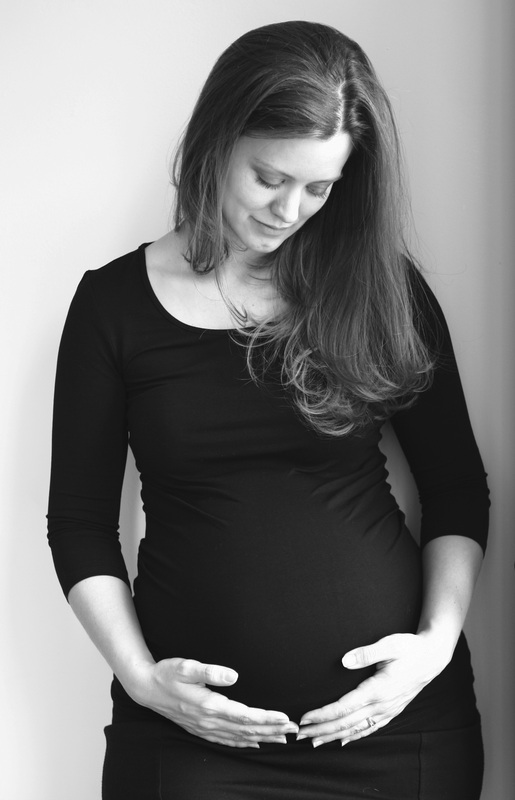 I interrupt the natural flow of posts to put up a few pregnancy photos that were shot by my good friend Amy McPherson. 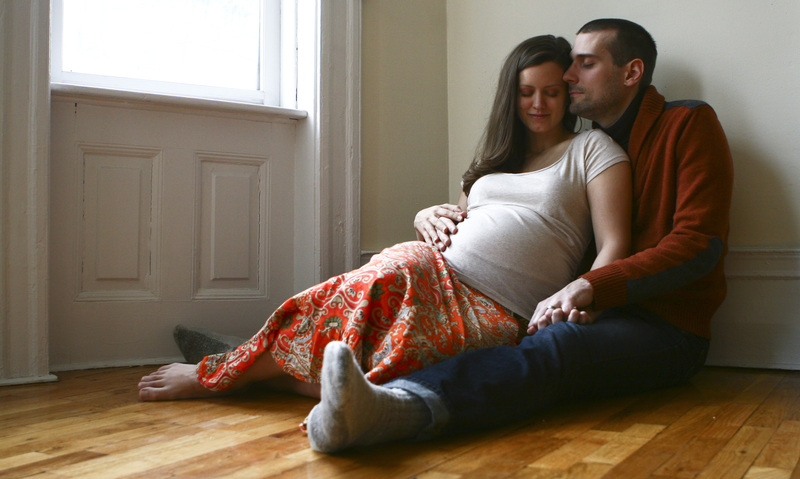 I’m two-days shy of 29 weeks in these photos. Enjoy! 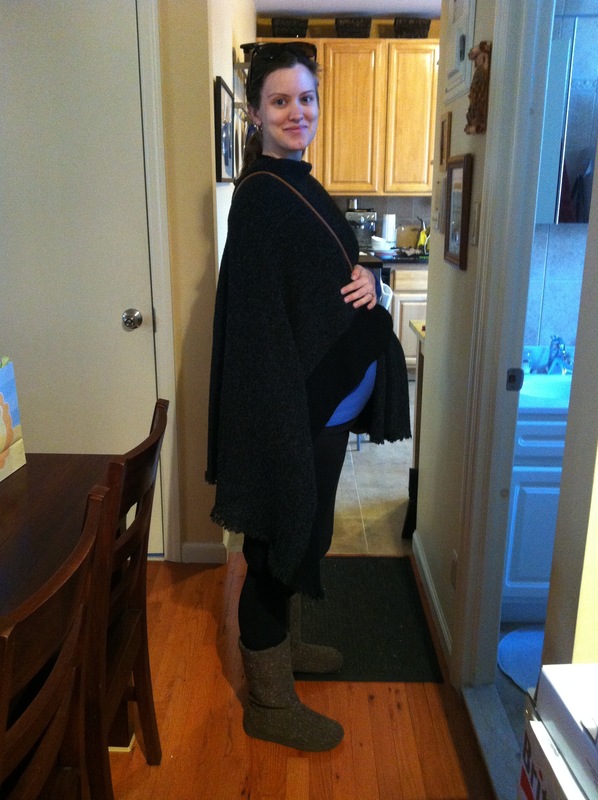 Gilliebean & Fritch at 29 weeks! Gilliebean's belly at 29 weeks! Gilliebean at 29 weeks preggie! Gilliebean's belly at 29 weeks preggie! Gilliebean & Fritch at 29 weeks preggie! I love my baby bump! Can’t wait to meet the little one!! 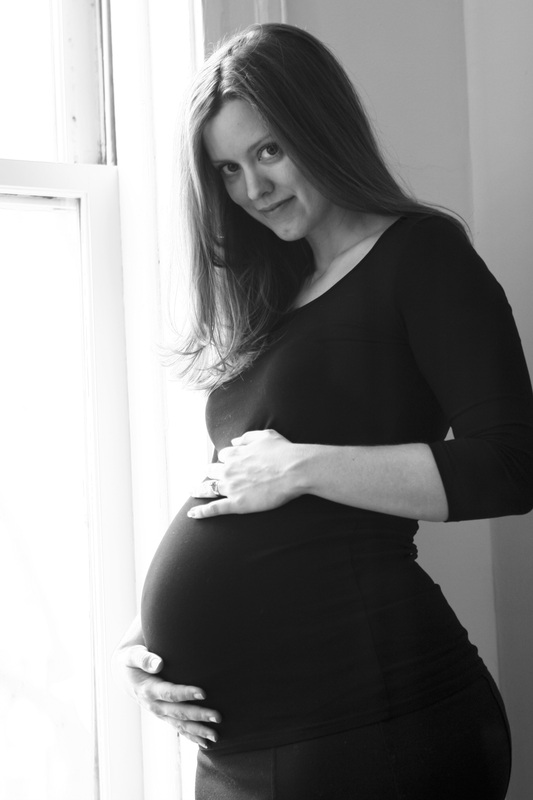 At 28 weeks… The kicking baby is *really* starting to keep me awake at night! 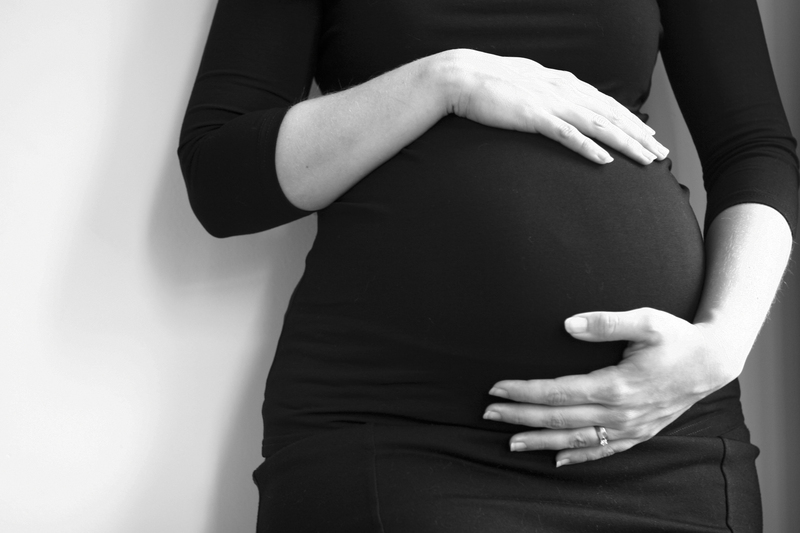 Is “alien belly” a pregnancy symptom? If so, I’m very pregnant. I’ve hit the stage where my child seems like s/he is moving furniture around in there! I haven’t done any running so my round ligaments haven’t been complaining too much. I haven’t noticed much swelling this week, although my skin is more sensitive in general. I shaved my legs on Sunday and my skin was *not* happy with me that night. 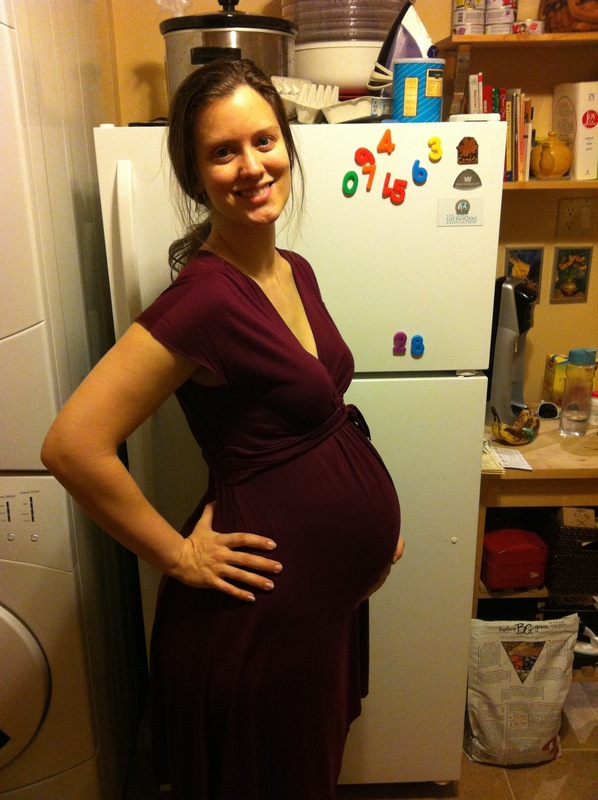 At 28 weeks, I’m eating more fish and less red meat. I feel a little puffier this week than last week, likely because of the increased carbs last week that were consumed to help me pass the BG test. And I did “pass” the BG test! Yay! So now I can go back to my mod- to low-carb ways. We also just got a 26 lb order of grass-fed beef, compassionate-raised pork and grass-fed lamb! It was only $4/lb. Awesome! I’m still eating braunschweiger and liverwurst, plus chicken broth, and *real* sauerkraut. As I’ve mentioned before, I’m trying to follow the recommendations listed here by Chris Masterjohn. I do get some rice and corn in my diet, occasionally. The last row was 3m shy of my PR! These felt heavy but doable. 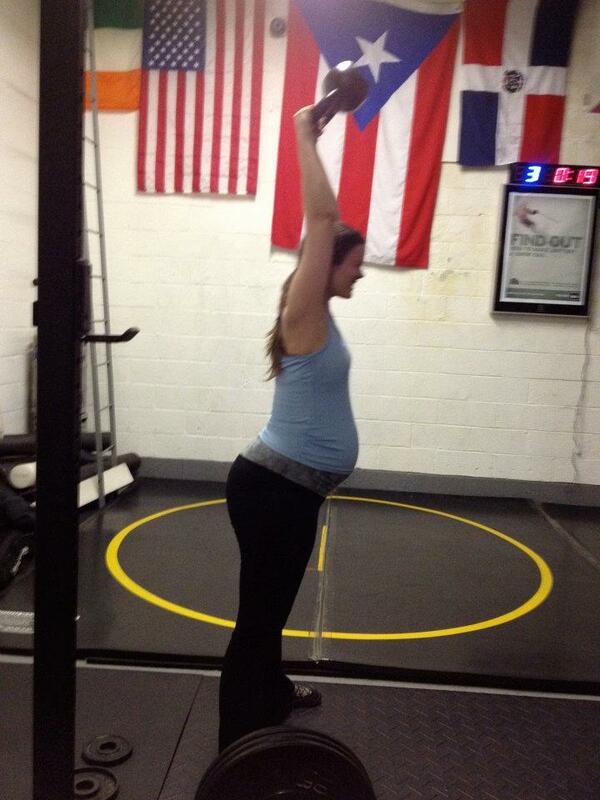 Gilliebean doing KB Swings @ 28 Weeks Preggie! 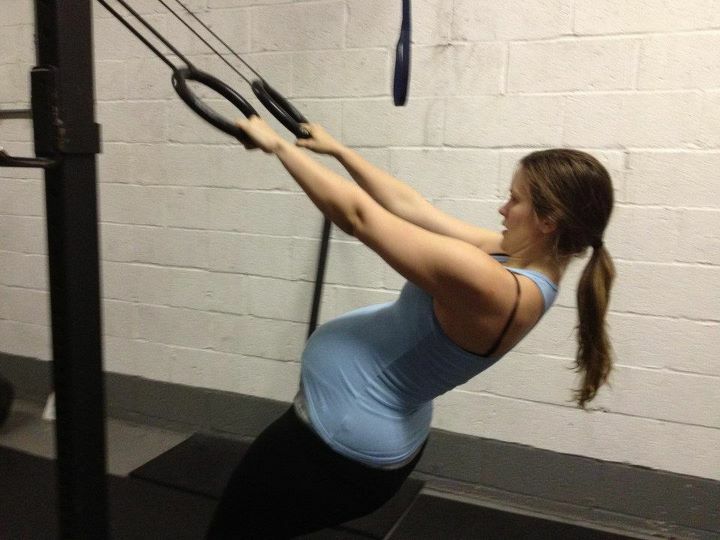 Gilliebean doing Modified Ring Rows at 28 Weeks Preggie! I felt a little unsteady with the 75# during the first two sets, but the third last sets I found my rhythm with the power cleans. This met-con was exhausting for my arms. Heart rate was good the whole time. Didn’t get to the gym today, but I did do a small 15-minute KB workout at home. This will look familiar. Coach Dan said that everybody else had done American-style KB swings even thought it had been posted on the blog as Russian-style. I was getting deeper in my squats than usual. Yay! But I just couldn’t keep 65# above my head. Then, instead of GHRs I did cat-cows. We alternated 15 cat-cows, then 15 gms and so on… Felt good! I should think of something else. Ha! Gilliebean at 28 Weeks Preggie! At 25 weeks, I’m starting to feel the weight of my baby and uterus. Turning over in bed is like a HIIT workout or like parallel parking in LA (17-point turn anyone!?). I had mild nausea on Christmas morning and with no idea why I guess I’d have to blame that on pregnancy, but who knows. It could have been food-related. I am definitely feeling the extra blood – I get short of breath much easier than before and my temperature seems to run higher than before. That said, neither are in the “iron deficiency” or “core temperature too high” ranges. Just enough for me to remember that I’m making and carting around more blood; and that that blood needs to be oxygenated. Otherwise, I feel pretty normal. Some days when I’m sitting at my desk, I forget that I have a belly. Until I get KICKED! Which is still happening rather frequently. The other day, after lunch, I lay down to count the kicks. I counted about 30 after 15 minutes, and then promptly fell sleep for a mid-afternoon nap. Yay for Christmas vacation! At 25 weeks, I’m deep in the middle of Christmas week and haven’t reached New Year’s yet. I didn’t bring any of my braunschweiger or sauerkraut with me. Sad. I tried the non-pastured eggs at my in-laws house but they started doing a number on me (food allergies) after a few days, so I gave those up. I had a few gluten things on Christmas day, just some stuffing and a sweet potato biscuit, but that opened the door for cheating for the entire rest of the week. And my food-allergy-related rashes came back with vengeance. Sad. After that, I did my best to eat low-carb, full-fat (primal) even though I wasn’t eating paleo, and to remind myself that I can control what’s in my cupboard when I return to my own home (which I did yesterday). I’m still taking Fermented Cod Liver Oil/Butter Oil capsules, Vitamin D, Enzymes, Probiotics and an occasional dose of prenatal vitamins. After Christmas day, it was hard to motivate my husband and my father to join me outside for a morning run… So the rest of the week was kind of a wash. But today, my first day back in Brooklyn, I went back to my CrossFit gym and PR’d on the rower. Take that Christmas!! Ha! I actually wasn’t trying for a PR. In fact, I was taking it easy because of my “condition” and because it’d been two weeks since a WOD! When I finished, I looked at my previous PR and realized I’d beat it! Woot! My 1RM is 135. I’m working on maintaining depth while not bending forward too far. Also, preggie-belly prohibits my core strength from maintaining my range of motion; so it affects how deep I can go and stay stable. So I didn’t push too hard today on the weight. I wanted to do this Rx so badly! But I couldn’t do the KB OHS with the prescribed weight. So I scaled. 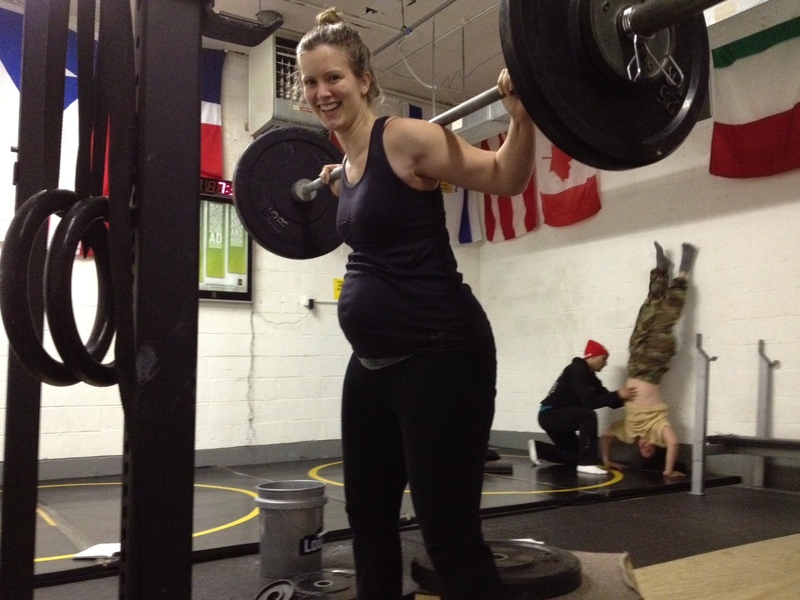 Then I found that KB OHS was difficult for me in general because of my preggie-belly anyway; so I sub’d Goblet Squats (at 12 kg). I did the Ball Slams at 10# and the Wall Balls at 12#. My heart rate hit 150 a few times during the MetCon but I didn’t get dizzy this time! All in, I’m pretty happy with my first WOD in two weeks. 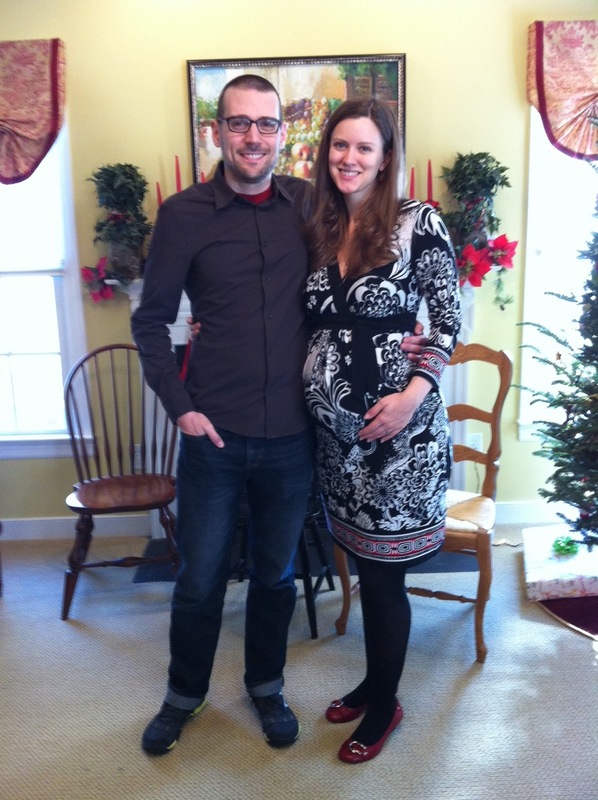 Here’s a photo from my Christmas Baby Shower! 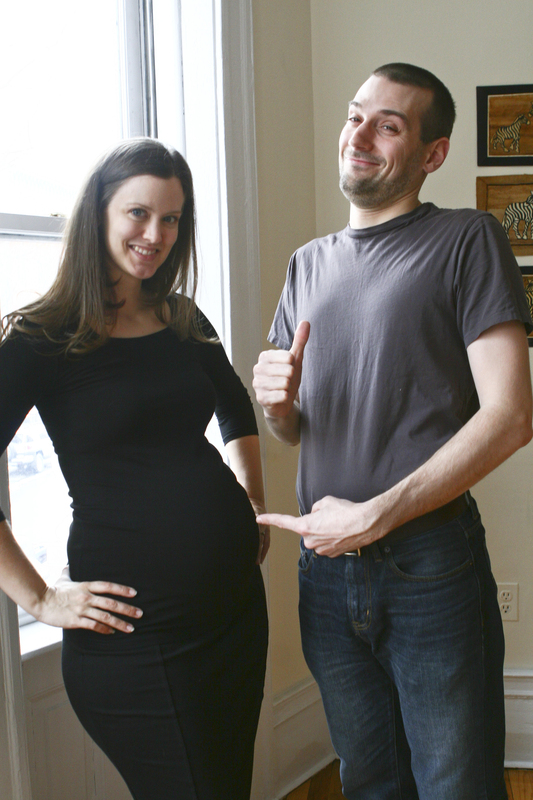 Ryan and Gillie, 25 Weeks Preggie! You are currently browsing the Club Fritch blog archives for January, 2012.